Framed certificate, reading 'Farming and Wildlife Advisory Group Hertfordshire Branch. 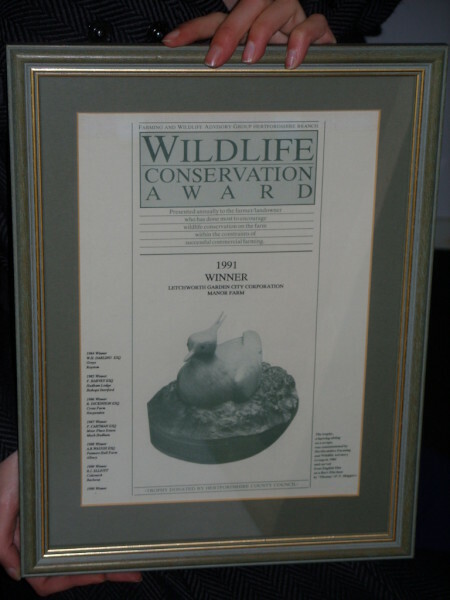 Wildlife Conservation Award. 1991 Winner - Letchworth Garden City Corporation. Manor Farm.' Picture of trophy on certificate. In greeny-grey frame.